Portable Garage Overhead Crane Cheap Crane Small Mobile Crane Very Easy Flexible To Use! Garage overhead crane is frequently used for loading, unloading, transporting, lifting materials and goods in factory, warehouse, and storage yards. According to crane girder, overhead garage cranes are divided into two types: single girder type and double girder type. They are designed to meet different industrial lifting work capacity, from medium to heavy class, covers all parts of the manufacturing process. Ellsen Company, a famous crane manufacturer in China, ranks top in the crane industry , provides cost-effective garage overhead cranes. 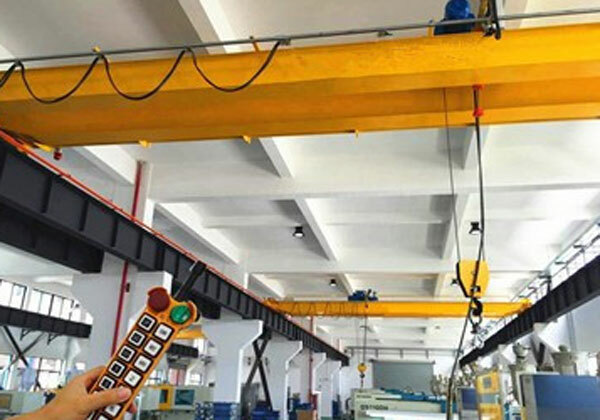 Ellsen also produces other types of cranes, such as overhead explosion-proof crane for coal mine, low price beam cranes, low price magnetic overhead crane, double girder bridge crane with hook, cheap single girder low headroom overhead crane, high-quality workshop crane, warehouse hoist double beam overhead crane. 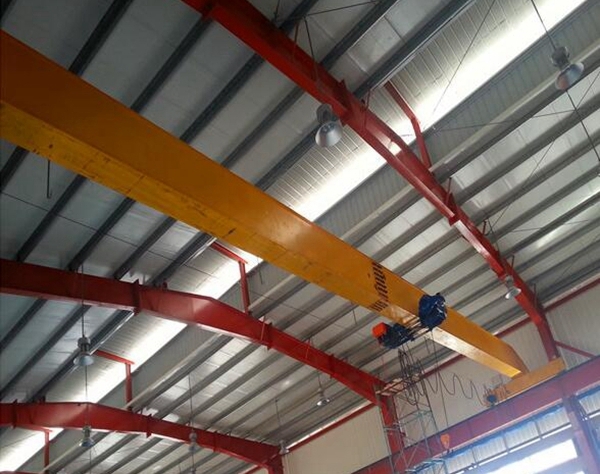 How to choose suitable overhead garage crane? First, customers choose cranes according to practical working condition and capacity. 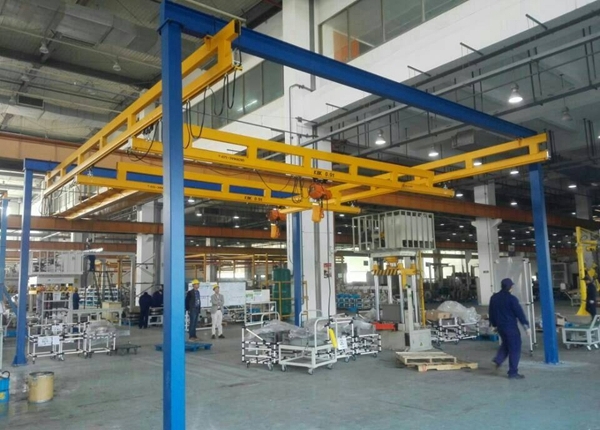 For example, underhung travelling crane is a very low clearance light duty lifting equipment, which is suitable for the factory and ware house not so high. 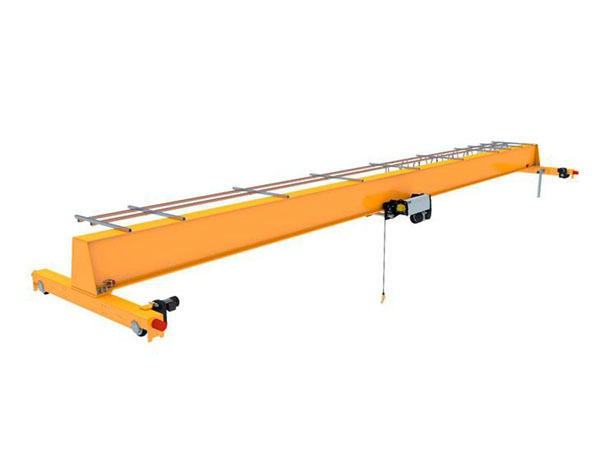 Single girder crane has advantages of light structure, easy operation, and low noise. 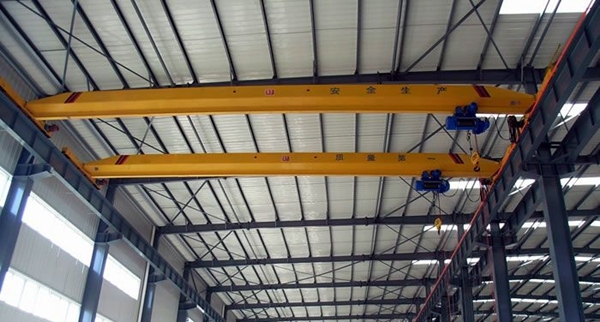 Compared with single girder travelling crane, the double girder hoisting crane can support larger lifting capacity, and more suitable for heavy work duty. Double girder crane has advantages of strong rigidity, high working efficiency, safety protection. Second, customers choose famous crane company for high-quality product. 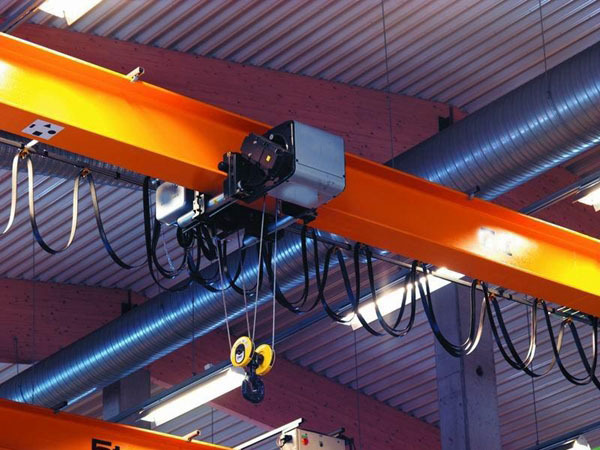 Ellsen Group is a leading manufacturer in the overhead cranes industry. It is located in Crane hometown of China, which covers more than 2/3 crane market in China. As a professional crane supplier, Ellsen provides all kinds of garage bridge cranes with different capacities, excellent quality and reasonable price, and can design every part of the crane according to customers’ requirement. If you are running a garage, you are not going to start until a crane is put in place. There are so many reasons for why a garage is going to need the crane to hoist cars. You just have to get the car up to see what is going on. Well, you are not strong enough to lift it up with your hands, so a crane is your only choice. You want to get underneath, and this is the crane to do the job for you. 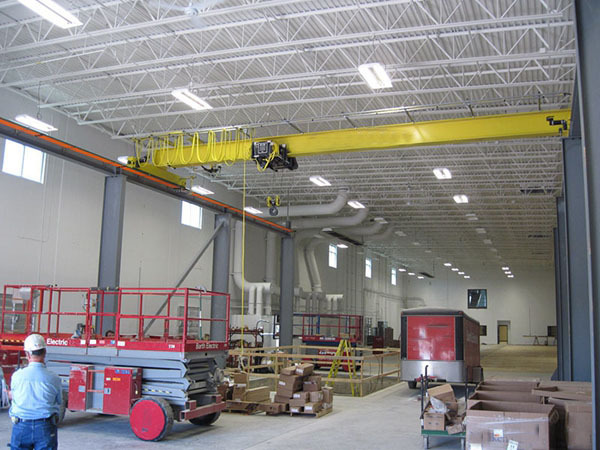 The garage overhead crane is a beloved option for the following reasons. Is it able to move around when you are looking to get it to a new spot in the garage? Yes, this is why people love the garage overhead crane more than some of the other related choices. You can put the crane in, but when you are done with it, you can move it around as well. You are not bound to a spot once you have installed it, and that is powerful for those who are on the move. You will feel free when you start using it, and that is perfect for all people who are running garages. 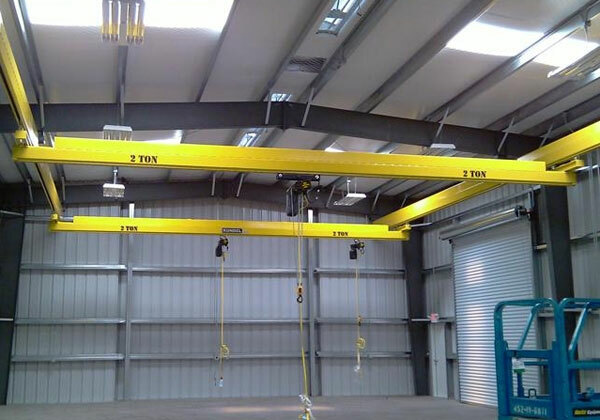 The flexibility of a garage overhead crane is something you will pay for. You are getting something that can move in all directions and is going to be easy to use. The flexibility does not just come from the crane, but from how it is laid out as well. You will notice a rise in confidence as you start to use this all the time. You are going to feel great about the crane and how it is laid out. This is why most mechanics now prefer this as the crane they want to use for their garages. In a garage, you are going to care a lot about how things are maneuvered around. You don’t want something to be lifted, and then you are not able to do anything with it. This is not sufficient for a garage in the first place. Let’s say you have hoisted a car; you are going to need to move it around a bit to get to specific regions. You are not going to want it just lift it and leave it there. This is why people pay money for these cranes. Think about this crane as the best one for mechanics. Most people are now seen putting money into these cranes because they work well and are safe. This is one of the bigger requirements because you don’t want to go with a crane that is not safe. You don’t want to feel like the crane is going to cause you trouble in the long-term, which can happen when you are not particular about what is put in the garage. The crane should be a support option for you at all times, and the garage overhead crane does this and more for mechanics around the world. 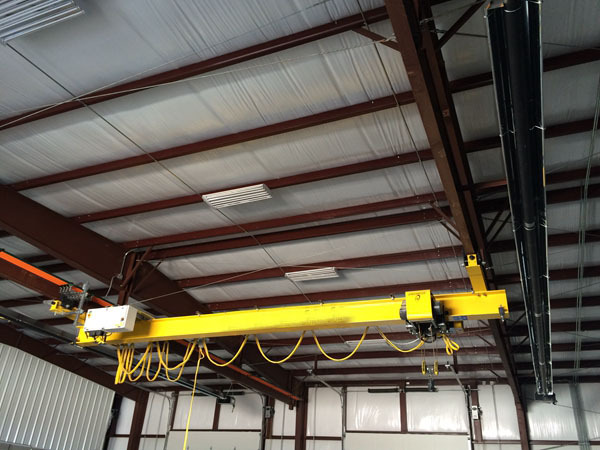 What is a garage overhead crane? A garage overhead crane is usually a fairy light-duty crane when compared to the large cranes used by construction company. These cranes can be very useful for doing things like pulling out engines or swapping out a cab or bed. Sometimes they are also called shop cranes or bridge cranes. These cranes are commonly found in smaller production shops. In some cases, people even install them at home because they have turned their garage into a shop to work on cars or other kinds of heavy machines and equipment. Very often, men who work with these garage cranes decide they would be a handy tool to have at home. This is because these crane systems can make it easy and simple to maneuver and move around heavy loads. Then can help make it much safer and easier to move around heavy objects. Very often, they can enable one or two people to perform jobs that it would usually take several people to do just because of the great weight. Where to buy workshop overhead crane? Garage overhead crane is a kind of workshop crane. It can be used in workshop for loading and unloading material. As a light duty crane, garage crane has light weight, flexible move and easy installation. Ellsen Group, a professional China crane supplier, provides best workshop bridge cranes. Except for small cranes, Ellsen also provides heavy duty cranes at factory price. Where to buy single beam bridge crane? 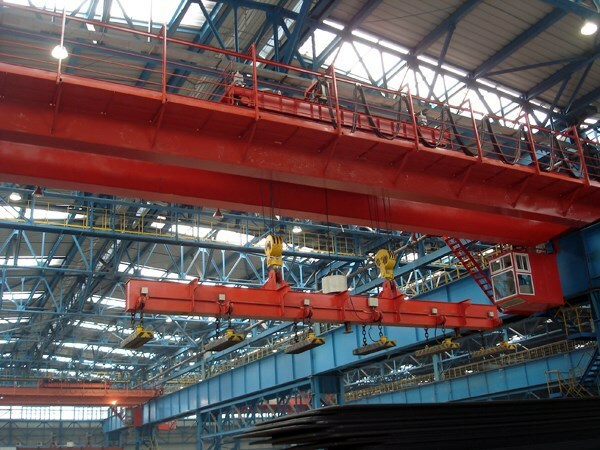 Where to buy double beam overhead crane? Choose Ellsen, choose top quality and professional service! Garage overhead crane is cheap and portable. 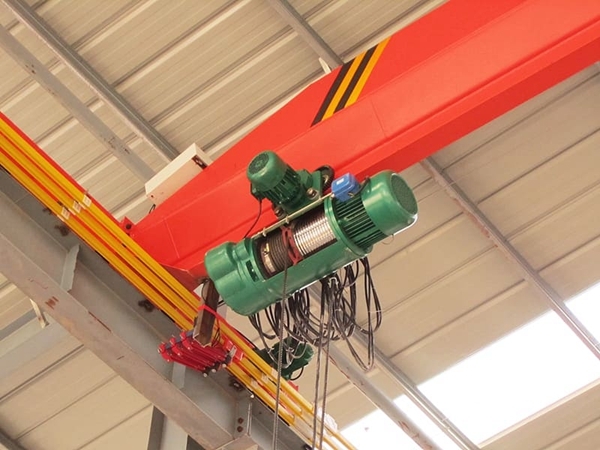 With carrier beam, garage crane can be used with electric hoist together. The hoist can travel along the beam and do horizontal move or lift and down the material. In this way, the crane can increase operation scope and improve the working efficiency. With light dead weight, the crane can be carried from one place to another place easily. With wheels, the cranes can move quickly, with reasonable design, the crane can travel stably. The durable steel ensures the crane long service life. Discount overhead crane with carrier-beam is hot sale. Ellsen provides discount bridge crane with carrier-beam. With simple structure, easy operation, Ellsen cheap bridge crane win high praise and trust from customers.